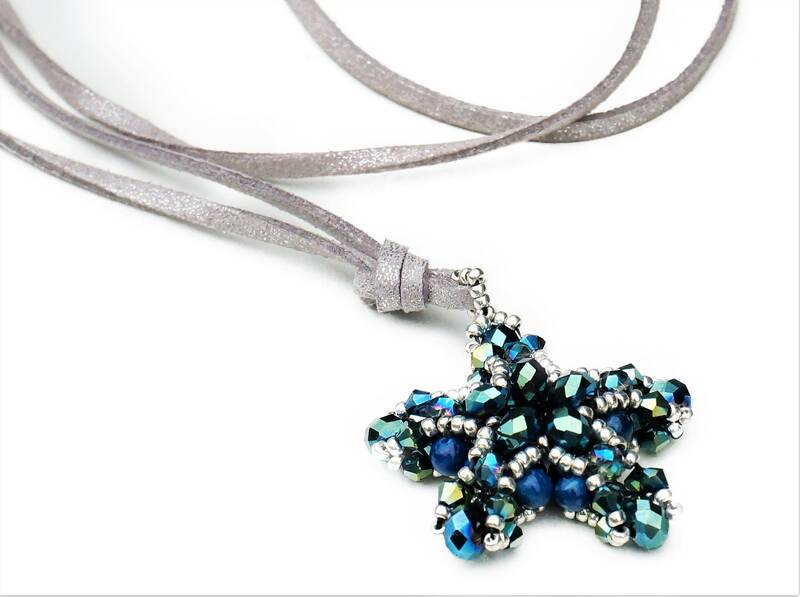 Blue shimmering star of faceted glass beads woven as a pendant on the silver leather strap-long chain. The trailer has a diameter of approx. 4 cm. 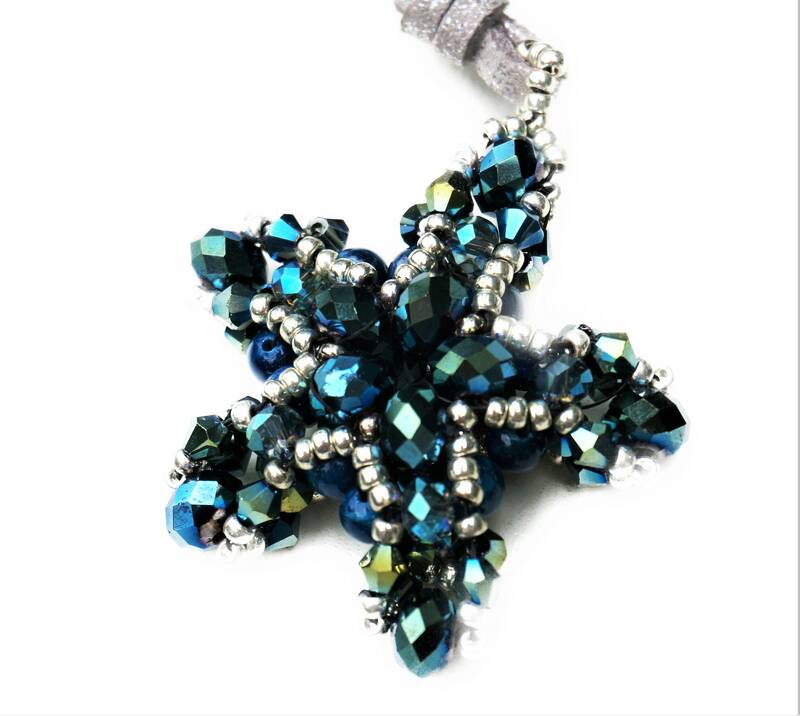 It has the shape of a star. 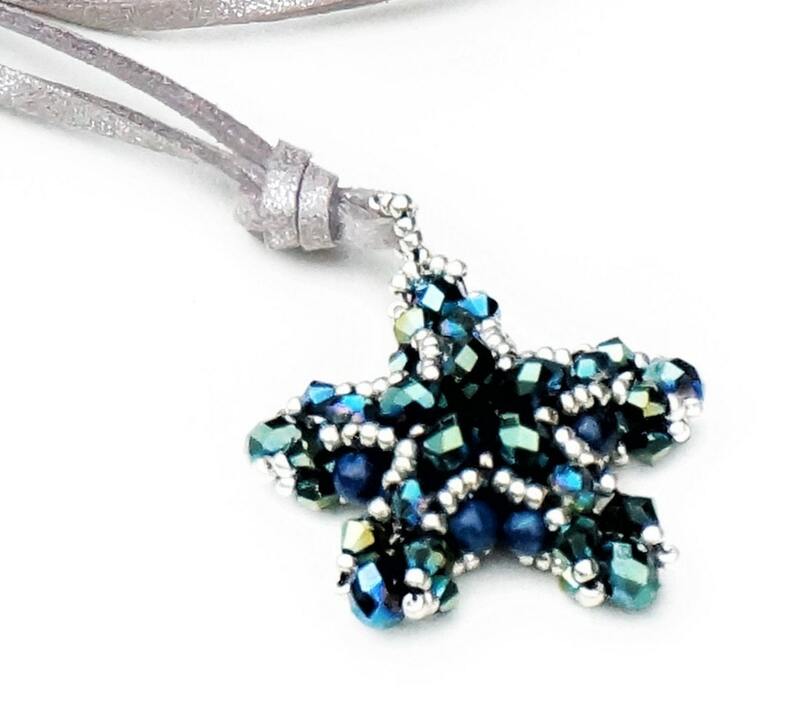 This star was woven from various large blue-shimmering faceted glass beads and silver miyuki beads. 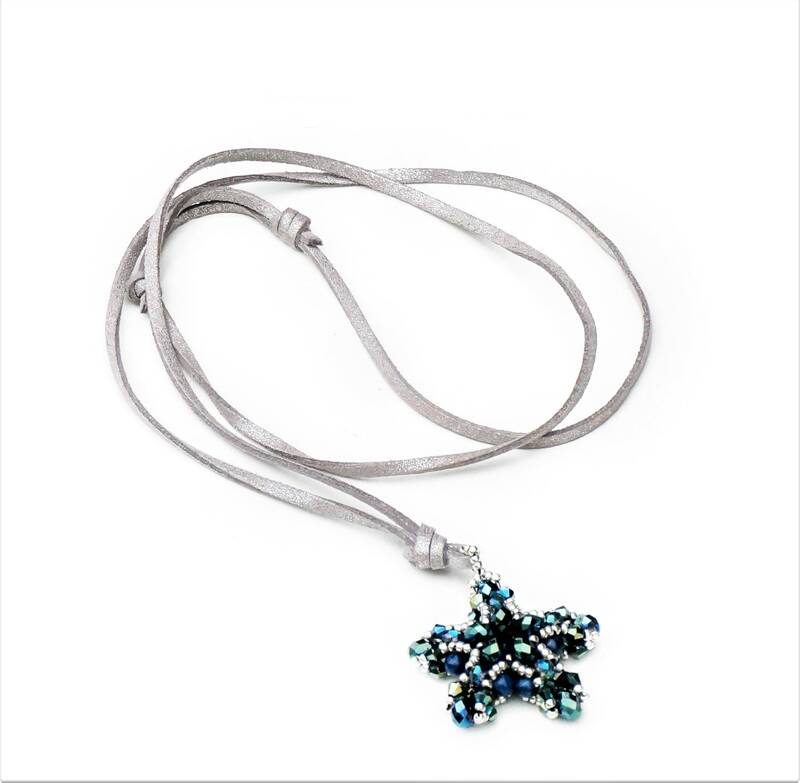 The pendant is attached to a silver-shimmering narrow leather strap, which can be adjusted by the two sliding knots in length, max. length 50 cm. 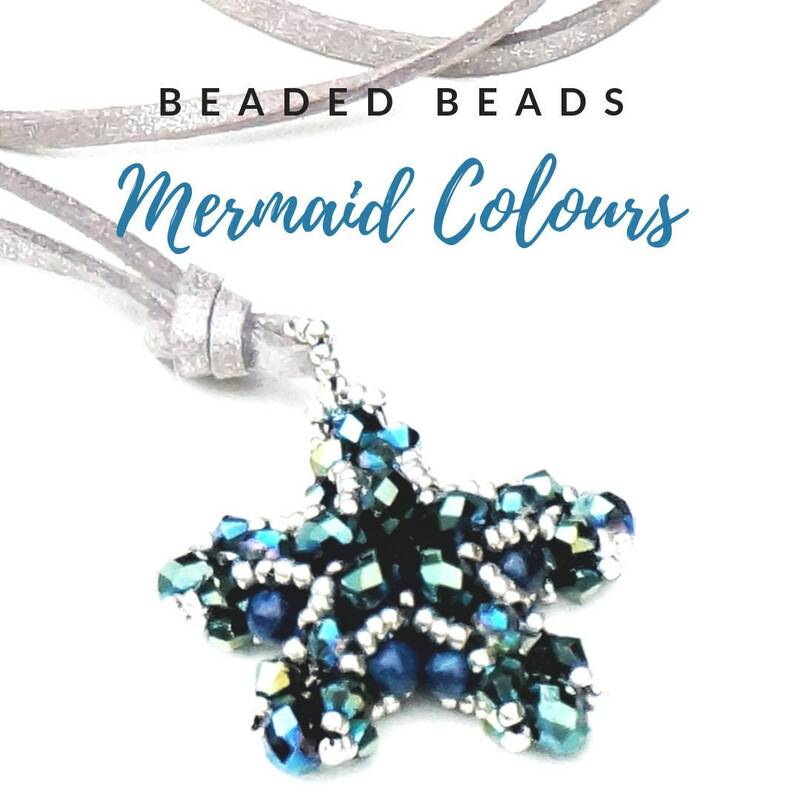 The necklace is a handmade unique and comes as a gift wrapped in a organza bag.